How long does it take to publish your case studies? How long does it take to publish your case studies? Many of our clients ask this, when we’re planning which customer case studies to write up and how many they want to share. The unhelpful truth is, we won’t know until we start working with yours. The fastest time we’ve developed, written, approved and published a client success story is two weeks – ten working days. More typically, it takes five to six weeks to get a new case study live. When will the results really show up for your customer? Case studies are a brilliant sales tool, no wonder it’s a rapidly growing trend to include your customer feedback in content marketing. But it can be more damaging if the case study content doesn’t demonstrate any concrete results. If your products or services have a defined outcome, it’s best to wait until the customer can give stats as well as anecdotal feedback about your work for them. Too many businesses publish case studies which are vague, focusing on the features of the products or services. As the alternative, we help you explore how the customer felt, the true benefits – in language THEY use – and what the impact has been on their company. What are the key dates for your customer, what stage is the project at? If you were working to a deadline for your client, chances are they’ve got an event coming up or a complex project timescale to meet. We know time is precious for everyone, so it’s helpful to know any key dates in their diary. By building a close customer relationship, you can ask your contact in advance about a case study and then agree when to follow it up – after one months or three months. If they give you a date, you know you’ve got their commitment to participate, again, making it faster to get sign-off and publish your case studies online. When can we take the full brief and book the interviews? 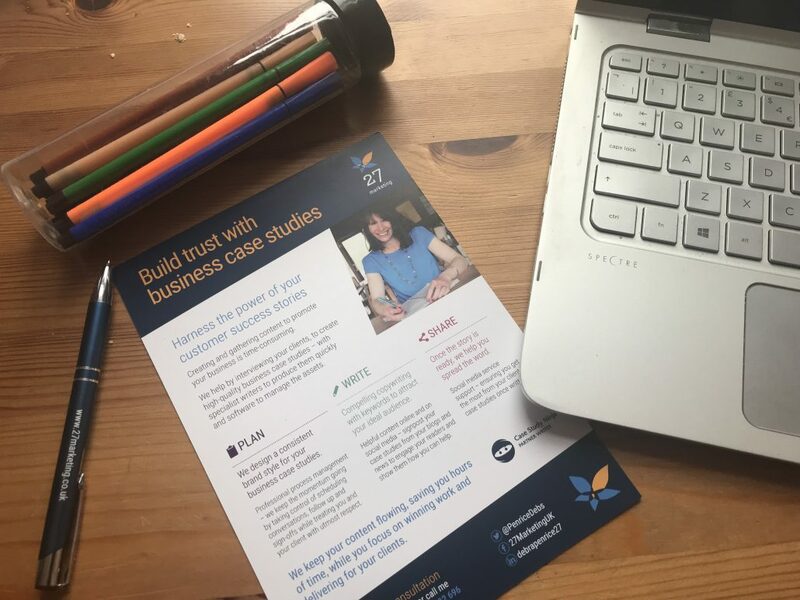 To write a quality case study reflecting the experiences of your customer, we need to speak with them directly, and any colleagues who have benefitted from your services. But as said, getting your clients to give up their time to contribute to your marketing can be a challenge. Then we can ensure the conversation runs smoothly without wasting their time with questions where you already know the answers. Next, we arrange a call to hear their views and we don’t script the calls beyond planning the interview questions with you. The interview is designed to get them talking, to give an authentic testimonial, as well as any constructive feedback for your operations. Once the case study interviews are complete, we will return the success story to you within 5 working days. Who will need to approve your case study? How large is the company featured in the story? Once the story is signed off by you and your team, we seek the customer’s approval for the final copy. When it’s a large corporate or brand we are writing about, the person we are interviewing may have to ask several others to approve the story – which was true for Uniqodo and BT. If it’s going to a marketing manager or department head, we offer to speak to them directly to save your client the time of going back and forth. It’s helpful to find out contact names for all the people before we start because it causes delays if additional people need to sign-off the story. If their Managing Director wants to see it and add their input, it’s worth giving them plenty of time to review it. Having more contacts in your customer’s organisation can also work to your advantage in building the relationship – and you’re helping their marketing efforts by publishing more content about them online. Who will publish your case studies on your website? Do you need more help here? With all the case study copy approvals complete, the story is ready to publish. We can help you decide where to publish your case studies on your homepage menu and how to drive more traffic to the pages once live. As part of the planning, we’ll talk about search engine optimisation and keyword phrases – to tag every page properly. We can help further with sharing your case study online because we work with a number of digital agencies, SEO experts and website designers in and around Bristol for WordPress, Leadpages, SquareSpace, Wix and bespoke CMS sites. Our first step for getting the most out of your case studies is a Content Planning Workshop or Case Study Clinic – call Debra on 07815 782696 or book in a date.